Conshohocken, PA: Serial entrepreneur, Gary Nealon, has a notebook of ideas that any wannabe entrepreneur would covet. It’s from this notebook that the countless companies he’s founded were born and he’s just getting started. Gary’s largest company to date, RTA Cabinet Store, which he founded in 2007, just landed on the Inc. 5000 list of fastest growing privately held companies for an impressive 7th year in a row. The leading online distributor of kitchen cabinets and home improvement products landed at #2358 on the list. 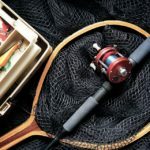 The company was created when he saw an opportunity to sell entire kitchens online and in the end, Nealon spun-off a marketing company, Nealon Solutions, from it to improve efficiency and solve RTA Cabinet Store’s pain points. Today, Nealon Solutions continues to thrive as Nealon’s digital marketing consulting company. Doing better doesn’t just apply to building a product. Gary is incredibly passionate about giving back and helping those in developing countries live better. 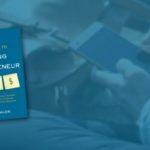 He recently published his first book, Notes to a Young Entrepreneur, a book written just for high school students who want to run a successful business. All proceeds from the sale of the book are given to B1G1.org, ensuring young girls are giving proper literacy education and they’ve already been able to help over 2000 girls. 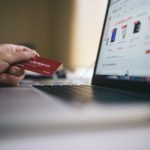 Like many other smart entrepreneurs, Gary is focused on diversifying revenue streams as much as possible, and a quick look at his portfolio shows that his interests are broad. 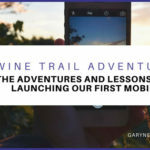 His company Wine Trail Adventures, the social network and online store for wine connoisseurs, just announced a marketing partnership with Craft Wine Association to fuel digital expansion. He recently founded Carrier Pigeon Effect, a boutique social content distribution platform that provides content creators, looking for long-term ROI, with a stress-free way to create and share content online. He also just acquired Sidekicks.co, an on-demand virtual assistant company that provides everything you need to make your business work. “I have used multiple VA services over the years, and still use several across my businesses,” said Nealon. “Sidekicks.co was by far the best structured VA company I have used, and it was a perfect fit to help with the scaling of the other businesses.” Gary is now working on setting up processes for several new service offerings and has plans to partner with other service companies and to scale quickly. My new book is finally here!